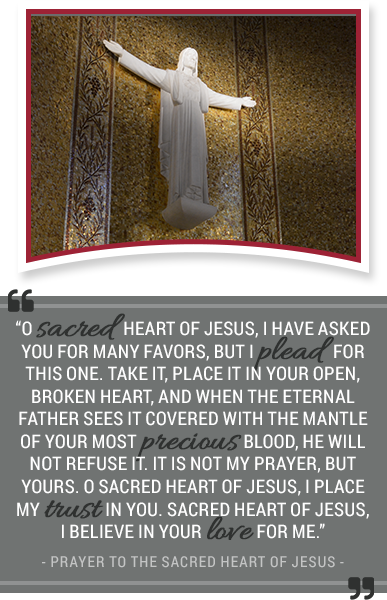 We are the Apostles of the Sacred Heart of Jesus, located on five continents around the world. In Italy we are Apostole del Sacro Cuore di Gesù. In Argentina, Chile, Paraguay, and Uruguay we are Apóstoles del Sagrado Corazón de Jesùs. In Benin and Haiti we are Apôtre du Sacré Coeur di Jésus. In Albania we are Apostulleve të Zemrës së Shenjtë të Jezusit. In Mozambique we are Apóstolos do Sagrado Coração de Jesus. In Switzerland we are Apostolische Schwestern vom Heiligen Herzen Jesu. In Ireland we are Aspal an Chroí Ró-Naofa Íosa. In Portugal we are Apóstolos do Sagrado Coração de Jesus. In the Philippines and the United States of America, we are Apostles of the Sacred Heart of Jesus. We share the love of Christ with all to whom and with whom we minister. The language of love is one in the Heart of God! Learn more about the provinces within our congregation, the team that comprises our General Council. The Generalate of the Congregation is in Rome, Italy. There are five provinces and two vice-provinces within the congregation.